Restaurant mogul Giorgio Nava has a passion for prime cuts and good business sense. 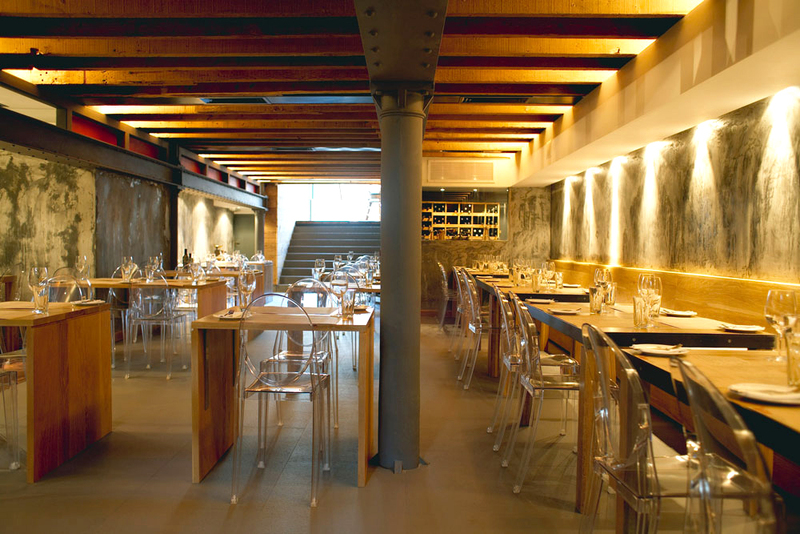 So it’s no wonder his restaurants, 95 and Carne, have set the bar for authentic Italian cuisine in South Africa. Learn more about his story in our exclusive interview, below. Giorgio Nava, founder of Carne and 95. How did you come to find yourself in South Africa? Giorgio Nava: In 1987 I was here on holiday visiting friends. The country was still experiencing Apartheid. It was near the end of the regime, but the segregation was still quite harsh. Coming from Europe and seeing how the same people in the same city were living completely different lives was a real culture shock. In 1999 I came to live here with the idea of producing mozzarella. I came with two cheese makers from Italy, planning to create fresh produce. At the time, there was no culture of fresh cheese in South Africa. Despite the effort and the quality of the cheese, it was unfortunately too early for mozzarella. So, I started looking around and realised that high quality Italian restaurants hadn’t yet been established in Cape Town! That’s where I started. In brief, the chronology after that goes like this: In 2002 I opened my restaurant, 95, and in 2008 I opened Carne. In 2011 I launched my patisserie project, Cafe Milano. A year later we opened a second Carne on Kloof Street in Cape Town. 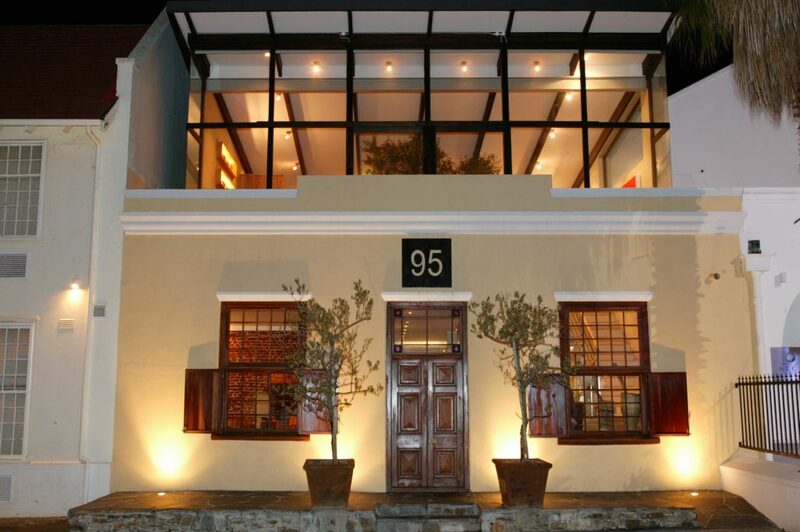 In 2014, we opened additional 95 venues in Morgenster and Constantia, as well as our latest addition: Pax. Giorgio Nava: I have always had a passion for food. I think it’s a huge part of our culture as Italians. I like the idea of having brought authentic Italian cuisine to South Africa. Cuisine without pasticci (mistakes), like you unfortunately find in many other restaurants. Tell us more about Carne. South Africans love meat. I have tried to bring something new to this country – a bit of Italian culture to take their interest. I have opted for different kind of cuts. South African kitchens generally use about 12/13 cuts, whereas in Europe we habitually use around 25/26. This is important to know, as you can actually sell and eat the whole animal, without throwing parts away. Carne is not a regular steakhouse. It’s fine dining combined with classy design, and it is nowadays one of our most repeated projects. I pride myself on having provided South African palates with perfectly cooked rare or medium rare meat. I am a ‘food purist’ and I believe a perfectly cooked cut is just as delicious with a good extra virgin olive oil, rosemary and salt as it is with a beautiful sauce. Impressively, South African produce excellent extra virgin olive oils. What about these ‘pasticci’? What kind of choices did you have to make in order to open your restaurants? Giorgio Nava: I had no choice. I did not compromise. I did not want to modify traditional Italian cuisine, because that would compromise the authenticity. In my restaurants there are good portions, but no exaggeration; no overcooking, no unnecessary additions. The flavour needs to be coming out of the products themselves. Good quality ingredients speak for themselves. Why did you choose to settle down in South Africa? Giorgio Nava: I fell in love with the spaces here – so varied! I also had opportunities here, to start a business. Coming from Italy where everything is so bureaucratic, it was far more convenient to begin something here. 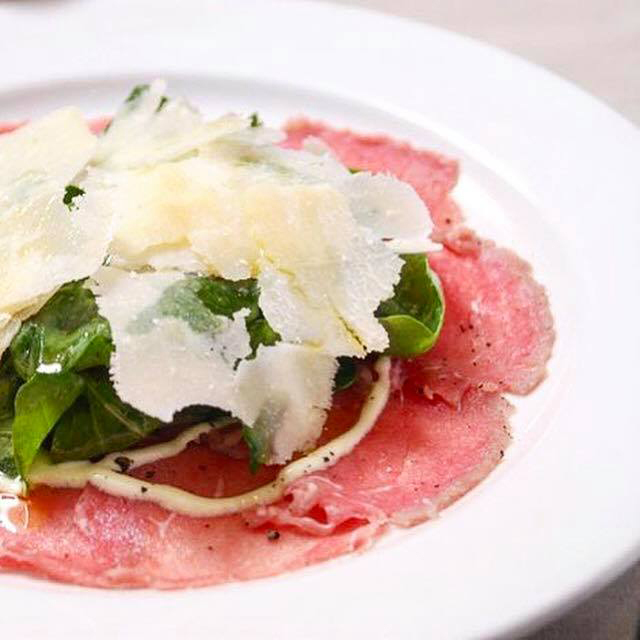 Carpaccio is a signature dish on Giorgio Nava’s prime cuts-based menus. Any future projects we should look out for? Giorgio Nava: In fact, I’m hoping to open a new restaurant. South African taste is partial to fusion cuisine, so I would like to experiment with an asian chef, and give the menu an authentic touch. Other Carne branches will come in the next years, or maybe a 95 branches in locations that I find interesting. Otherwise, I plan to keep on working as a consultant in various African countries, China, Japan, Dubai, as well as in two big franchises in New York and Miami. I also plan to keep on representing Academia Barilla. Today, I employ 160 people in South Africa, and 200 during the high season. So I need to keep up the good work! Which Italian ingredient should be in every South African kitchen? Giorgio Nava: A very good bottle of extra virgin olive oil.